Mike was hired as the President of Hovde Properties in June 2008 to oversee its $50M real estate portfolio. In those six years he identified new development opportunities that have resulted in growth of the portfolio to $240M, a 480% increase. These new developments include Woodsview Apartments in Janesville, Fieldstone Estate Apartments on Madison’s east side, 229 at Lakelawn (student housing project on UW’s campus), Conservancy View (single-family and condo development in Middleton), Main Street retail development in downtown Waunakee, Ovation 309 (luxury apartments in downtown Madison), and Brix Apartment Lofts in Milwaukee’s Fifth Ward. 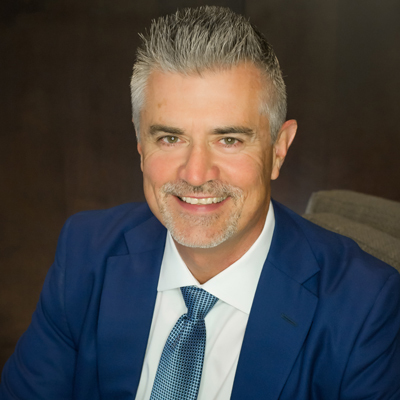 Prior to joining Hovde, Mike spent eleven years as the Director of Real Estate and Portfolio Manager for Hendricks Development Group (HDG), based in Beloit, Wisconsin. HDG provides full-service acquisition, lease negotiation and development services for Beloit-based ABC Supply Company, Inc., with 450 locations nationwide. Under Mike’s leadership, the HDG portfolio grew from $75M to $510M. Preceding Hendricks, Mike spent three years as the Public Works Director and City Engineer for the City of Beloit, WI, and nine years working in various management roles at Exxon Company, USA, and its Real Estate subsidiary, Friendswood Development, both located in Houston, TX. Mike received two Bachelor’s degrees: a BS in Civil Engineering from the University of Illinois at Urbana-Champaign and a BA in Liberal Arts and Physics from Augustana College in Rock Island, IL. He also earned an MBA with a concentration in Finance and Management from the University of Houston and is a registered Professional Engineer in the State of Wisconsin. He is married with two daughters and resides in Middleton, Wisconsin.